I have had this blog post on my mind for over a month now, but today is the appropriate day to share it. I was driving to work one morning when the story of the oldest person in a neighboring county came on the radio. She was celebrating her 110th birthday. What I loved about this story was that her 88-year-old and 90-year-old sons flew into town to help her celebrate her 110th birthday. I hope that when I am 87, I still have my 110 year mama around. And maybe, instead of flying into town to celebrate her birthday, my nurse can just roll me from room in the nursing home into her room in the nursing home. And we can complain that my sister never visits us, how the green beans just aren’t as good as the ones that she used to make, that we wished we could still see so that we could pluck those chin hairs, that someone would change the channel to Discovery ID because our favorite true crime show is getting ready to come on, and how happy we are that they made chocolate cake for her birthday because we both love chocolate. I had a birthday this past week and I am glad that I lived another 365 days, but I’m definitely past the age where birthdays are one of the most exciting days of my year. 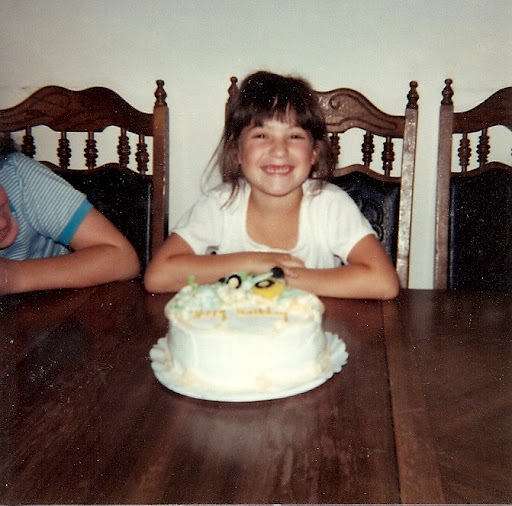 I remember the birthdays that were so important because each one got me one year closer to 16 — the best birthday ever, the day I got my driver’s license. Then, I remember each birthday that was so important because it got me one year closer to 21 — the best birthday ever, the day I could buy alcohol. And many years later, I remember the details of those two birthdays very well. They were milestone birthdays. The milestone birthdays that happen now are not so important because of what you get to do because you reached them, but important because you reached them. Doing anything after them is sorta gravy…. And I realized how lucky I am to be married to a man that understands me. 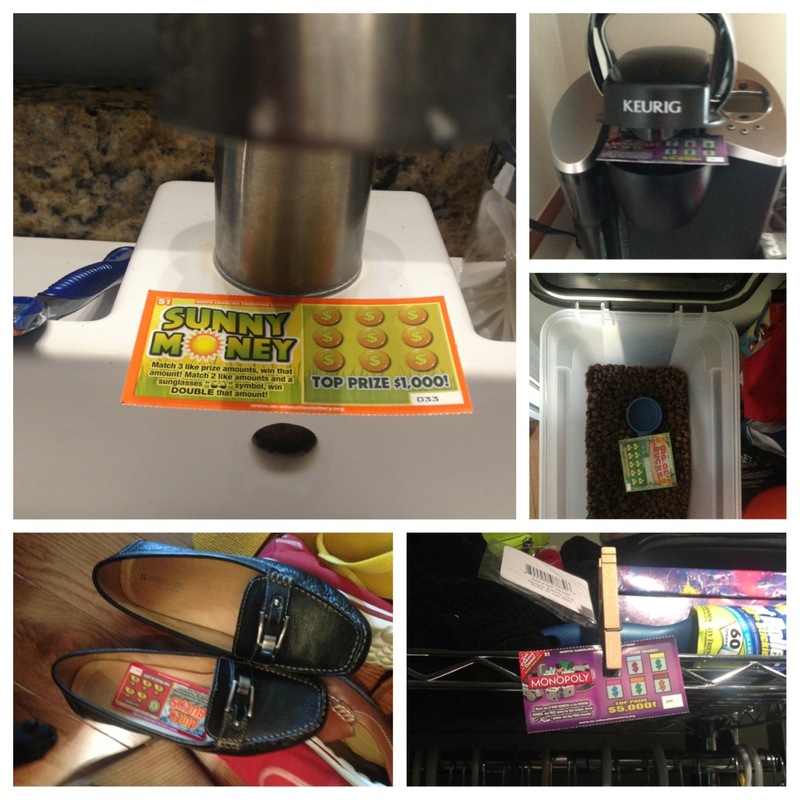 Matt bought 43 scratch-off lottery tickets and hid them around the house. He knew that I would enjoy finding them and the quick rush of scratching them off. And some of his hiding places were clever, but he also took into account that I’m not a morning person so he didn’t make it difficult: in my shoes, in the Keurig, under the faucet, in the dog food…the man knows me. I won $9…okay, I’m not that lucky, but lucky enough. Today is my mom’s birthday. I called her tonight to wish her “Happy Birthday” and she was getting ready to have dinner with some friends. 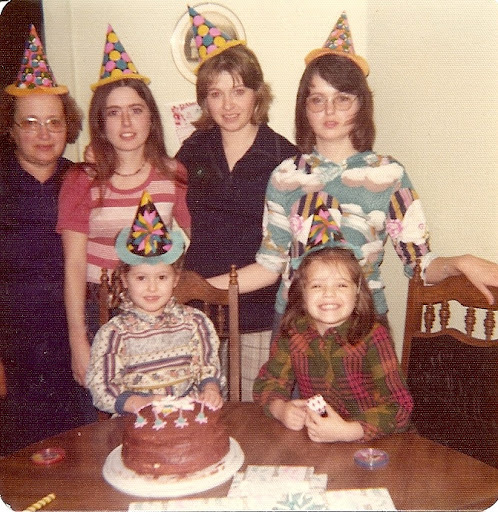 Growing up, my sister, cousins and I used to have the best birthdays. They weren’t huge parties and they didn’t involve huge cakes or mounds of presents, they just included small parties at my Mamaw and Papaw’s house. On the Sunday closest to the birthday, after all the lunch dishes were washed and the kitchen table was cleared, the birthday cake was brought out and placed before the guest of honor. 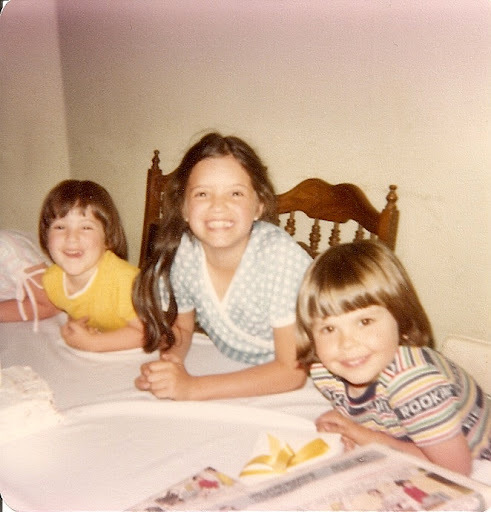 The rest of us gathered around and sang “Happy Birthday”, while our aunts and Mamaw looked on, then we got down to eating cake and opening presents. I don’t remember any of us having big parties where lots of people were invited, where school friends came, where venues were rented out to entertain all the attendees. Instead, I remember these simple Sundays at Mamaw’s with just my family. 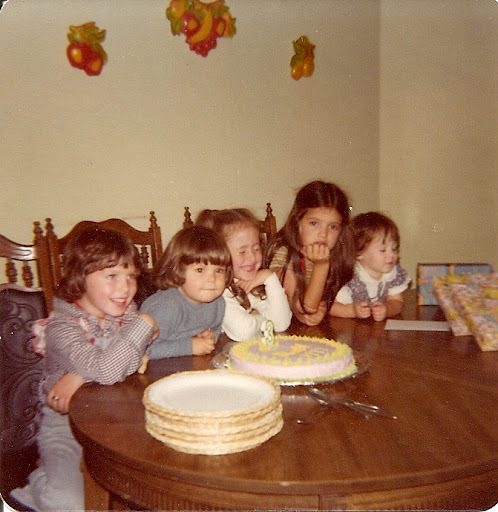 One birthday that stands out was either my cousin Matt’s or my cousin Wendi’s. I know it was one of them because the mother of the birthday girl or boy was responsible for bringing the cake and on this birthday, the cake had had an accident. 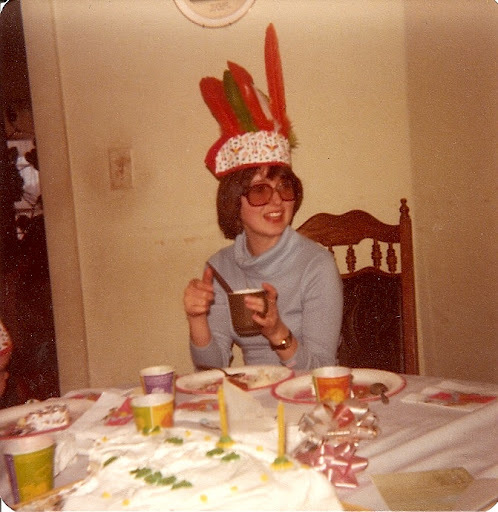 My Aunt Mary June (Wendi & Matt’s mom) had put the cake on the roof of the car while packing the car, unlocking the door (back in the day of inserting a key into a door lock), etc. and she forgot it was on the roof. She drove off and the cake fell off. The damage was minimal. We only had to pick a little bit of gravel out of the icing before we cut into the cake. We kids thought that was hilarious. If it wasn’t our birthday, we didn’t expect to get any gifts. Only the birthday boy or girl had presents to open, and the rest of us were okay with that. But, the birthday guest of honor usually let the others play with his / her presents. I hear about the parties that parents throw their kids these days and I’m a little astounded. They seem like very complicated and expensive. But I don’t have children, so this is a current mystery that I just cannot answer. But I can say with complete confidence that these birthdays of my youth were wonderful days, full of laughter, happy expectations, and feelings of being special for the day. I hope that my mom is having as wonderful day today as she provided for me all those many birthdays.